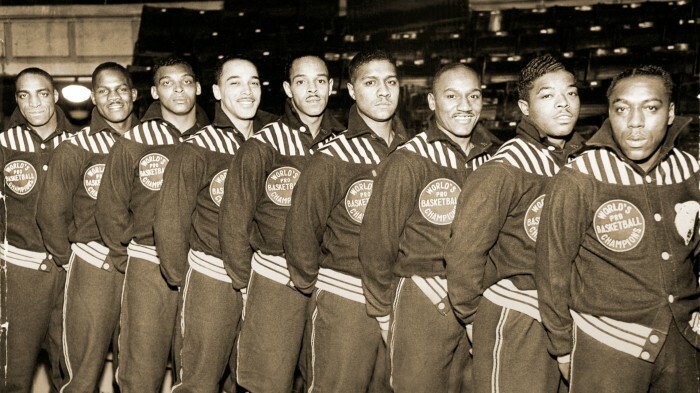 Our mission is to research, preserve, showcase, and teach the pre-1950 history of African Americans in basketball while honoring its pioneers and their descendants. With more than 20 years of continual, methodical research, we've created an unequaled body of knowledge, wisdom, and expertise about this once-buried history. Yet it's just the beginning. There's so much more to uncover and learn. The Black Fives Historical Archives contain the world's leading collection of rare and historically important artifacts from the Black Fives Era of basketball, maintained and safeguarded in state-of-the-art storage facilities by a dedicated staff of professional archivists. With collaborative museum exhibitions and events, or through our own multimedia storytelling and editorial publicity, we place the pioneers and artifacts of this once forgotten but important history on center stage in the spotlight that they deserve. By celebrating their achievements and advocating for their recognition, we give a voice to the voiceless once-forgotten Black Fives Era pioneers who paved the way for the modern game. We also salute historically important milestones, artifacts, and venues. We continually advocate on their behalf. New York Rens captain for 25 years, led team to 88 straight wins in 1933 and inaugural World Pro Championship in 1939. 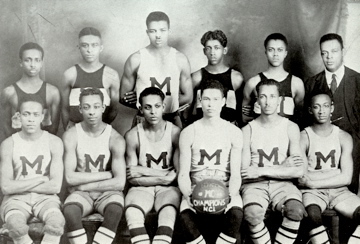 Won 4 Colored Basketball World Championships with three different teams through early 1910s. 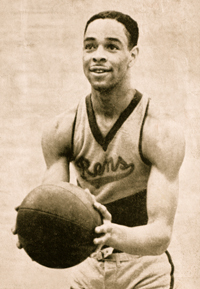 World Pro Championship titles with New York Rens (1939) and Washington Bears (1943). 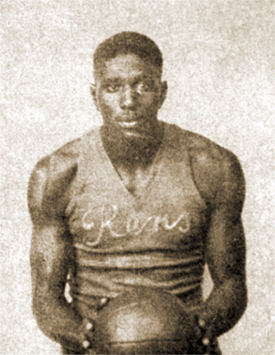 Key early Harlem Globe Trotters player who topped team owner Abe Saperstein's list of all-time greatest 'Trotters. Won 4 Colored Basketball World Championships, pioneered off-court promotion. Star center led New York Rens to 88 straight wins during his rookie season and inaugural World Pro Championship in 1939. Help Us Set The Record Straight, Save This History, Teach It, and Celebrate Its Importance. Discover the rich history of the Black Fives Era! See our images and videos, read our articles, listen to our interviews, and explore our online exhibition of historical artifacts. Enjoy the storytelling, get inspired, and contribute some stories of your own! This isn't only Black History, it's American History. Learn why it's important. Appreciate its relevance today. Gain new insights into basketball and its progress. Realize the role of stewardship in keeping the sport special. And reinforce your own love of the game. Donate a one-time amount or become an ongoing patron for as little as $1.00 a month! You'll get access to our patron-only podcasts, videos, and experiences, as well as a high-quality thank you gift and tax-deductibility for your contribution! 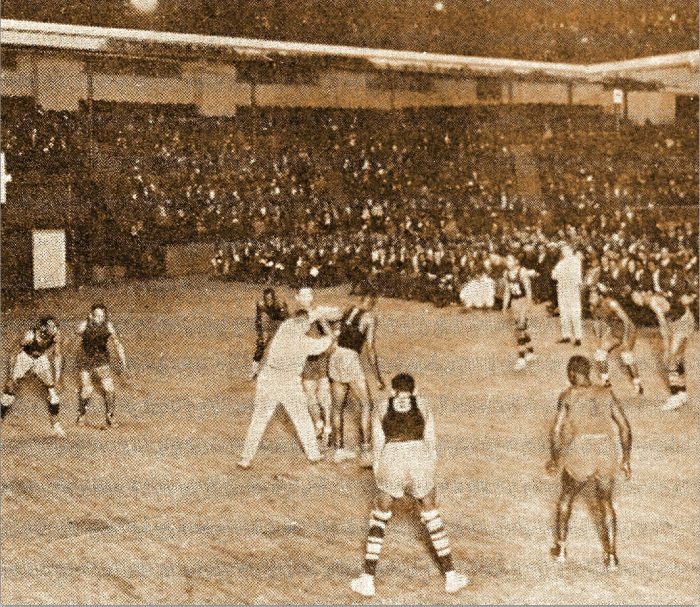 The Black Fives Historical Archives contain an acclaimed collection of artifacts, photographs, ephemera, and objects relating to the Black Fives Era of basketball that is available for exhibition and content usage. 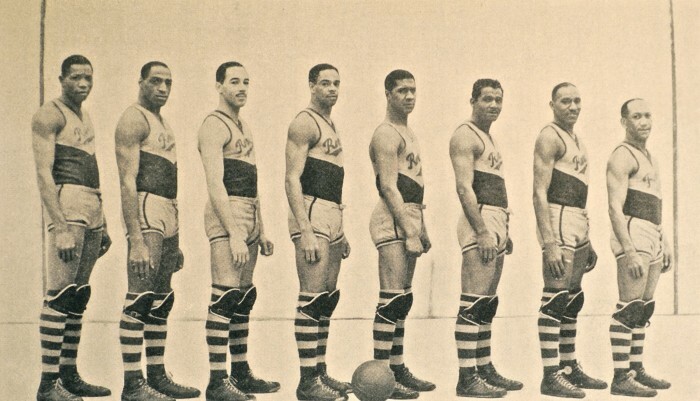 An overview of the pre-NBA history of African Americans in basketball, directed by award winning filmmaker Marco Williams, was an introduction for the New-York Historical Society's highly-acclaimed museum exhibition in 2014. What's Your Favorite Black Fives Era Team Logo? We maintain a portfolio of authentic Black Fives Era team names and logos that are historically accurate and forensically restored. To see the stories behind the teams represented by these logos, just click on any of them. The team names, logos, service marks, and trademarks below are the property of the Black Fives Foundation. They constitute some, but not all, of the intellectual property we own and maintain. Any use without the expressed, written consent of the Black Fives Foundation is strictly prohibited. Please feel free to contact us for more information. Thank you.